During May and June 1940, the Germans invaded France to take control of the country. The British and French attempted to defend their armies as the Germans advanced towards them, with many retreating (moving back) to the French port of Dunkirk. Fearing a large attack, the German commander decided to halt his troops. Winston Churchill then ordered any ship or boat available to head across the English Channel to pick up the soldiers and bring them back to the UK. 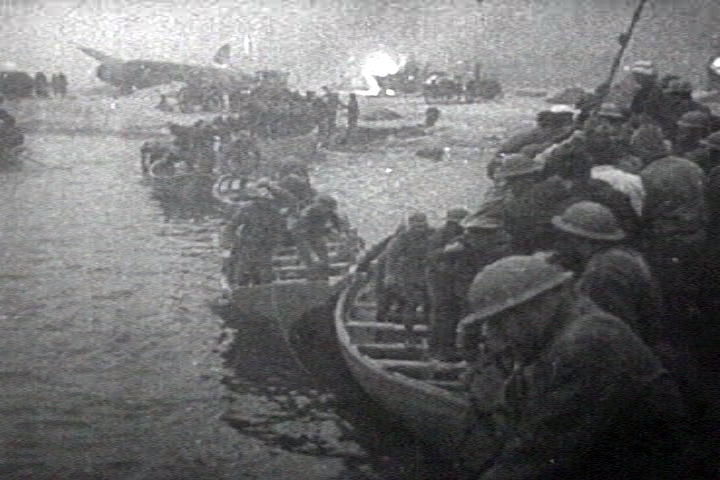 This rescue mission is called the Dunkirk evacuation. At first, the British worried that the evacuation wouldn't be very successful so King George VI called for everyone to join together and pray for the best. It was expected that 45,000 men would be rescued but between 26th May and 4th June 1940 a total of 200,000 British soldier were actually brought home along with 140,000 French soldiers too. Over 900 ships helped with the evacuation, including: fishing boats, pleasure boats and lifeboats. Despite the loss of all the heavy equipment and vehicles which had to be abandoned, the evacuation had saved many thousands of lives and prevented some of highest-ranking military commanders from being killed. The British people thought that it was a major victory over the Germans and talked about how their 'Dunkirk spirit' of everyone pulling together had helped the evacuation be so successful.